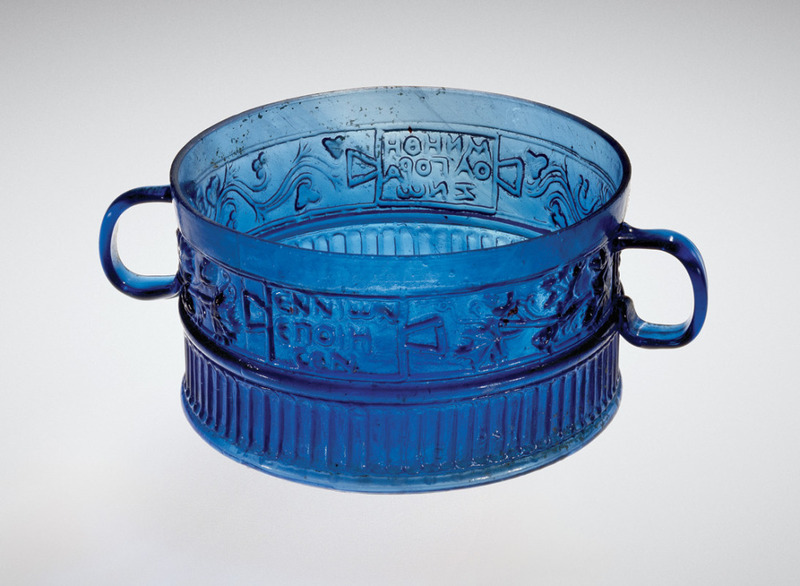 The master-glassmaker Ennion worked from about A.D. 30-70. His signature is known from fifty to fifty five surviving pieces, and many other works are attributed to him on the basis of style. 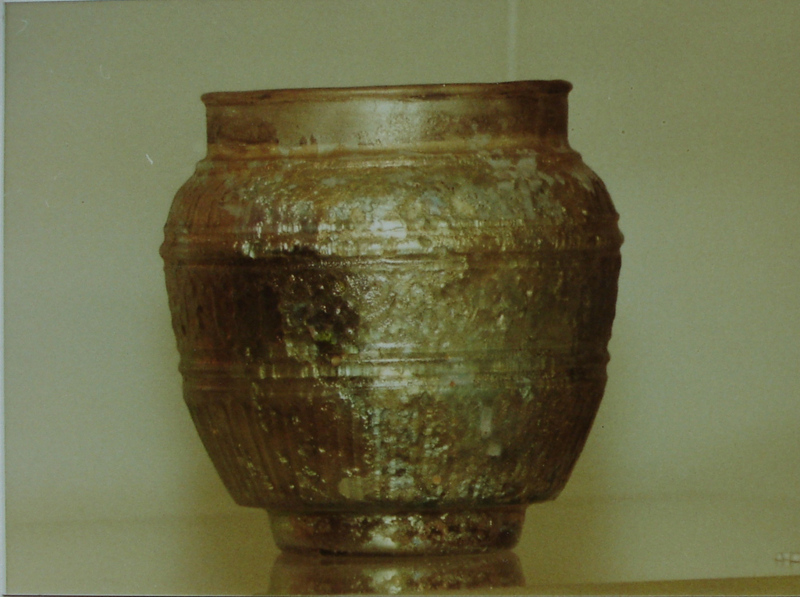 He reportedly created the technique of mold-blowing glass vessels. 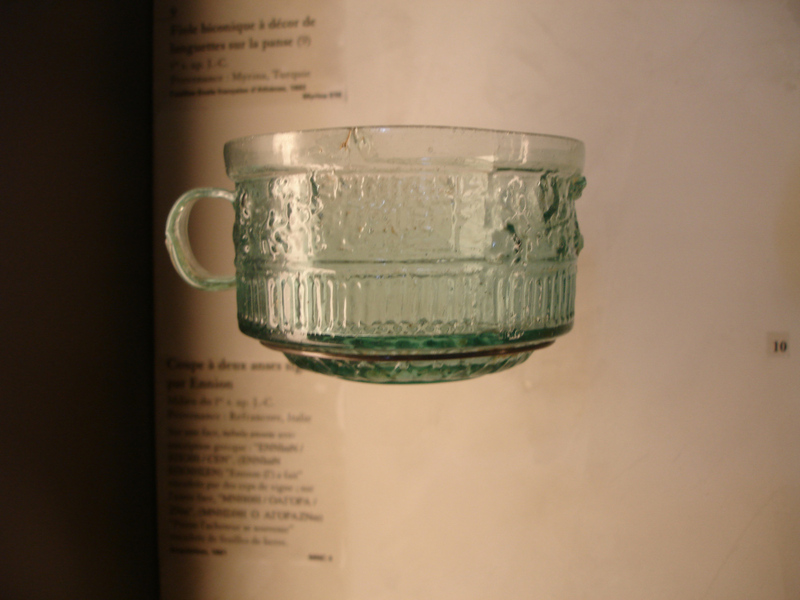 Mold blowing: Inflating a parison of hot glass in a mold. The glass is forced against the inner surfaces of the mold and assumes its shape, together with any decoration that it bears. 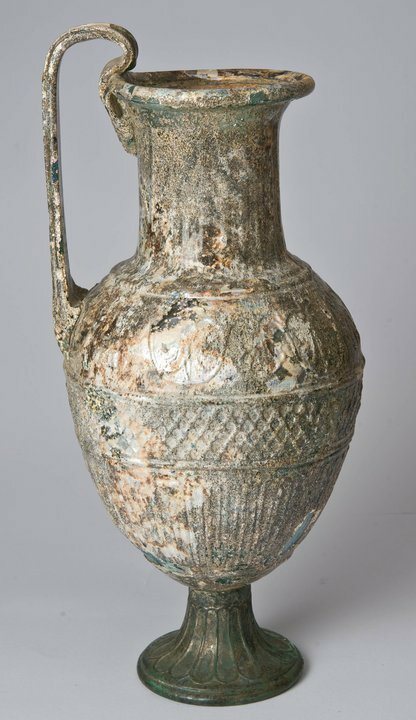 This new process allowed the vessel to be decorated as it was formed and permitted the creation of multiple copies of the same vessel. Ennion’s clear, precise designs distinguish his work; he also minimized the visibility of the lines caused by the seams in the mold. Sometimes Ennion’s marketing genius is overlooked for he was one of the first artists to develop a brand name, “Ennion Made Me”. The location of Ennion’s workshop is debated, in part because his work is found throughout the Roman Empire. 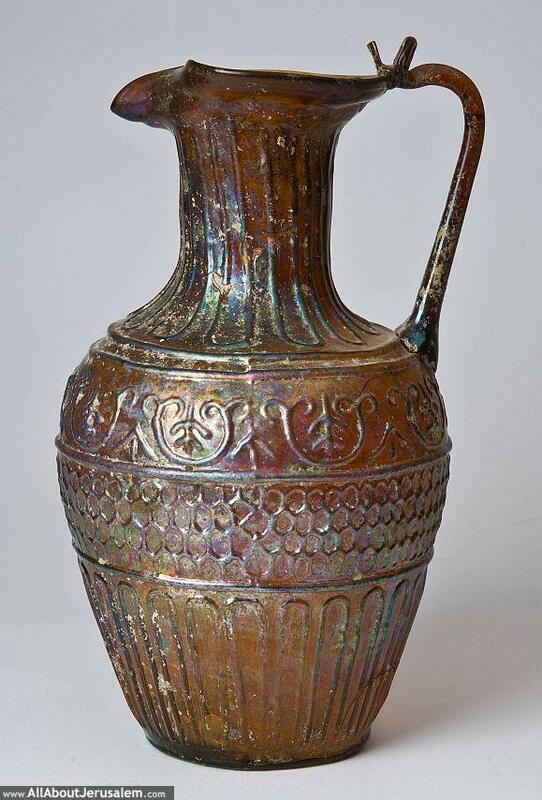 Some scholars believe he worked in Sidon located in modern Lebanon, and later moved to northern Italy. 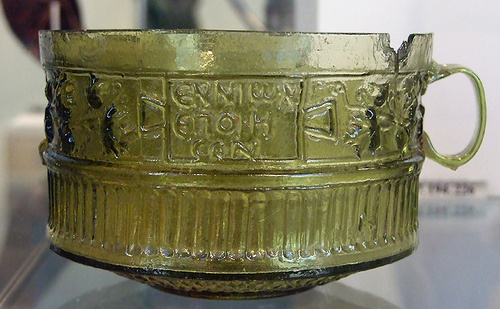 The inscriptions he frequently used as decoration may provide a clue. Though his name may have been Semitic in origin, he signed it in Greek, the language of the eastern Mediterranean, not Italy. 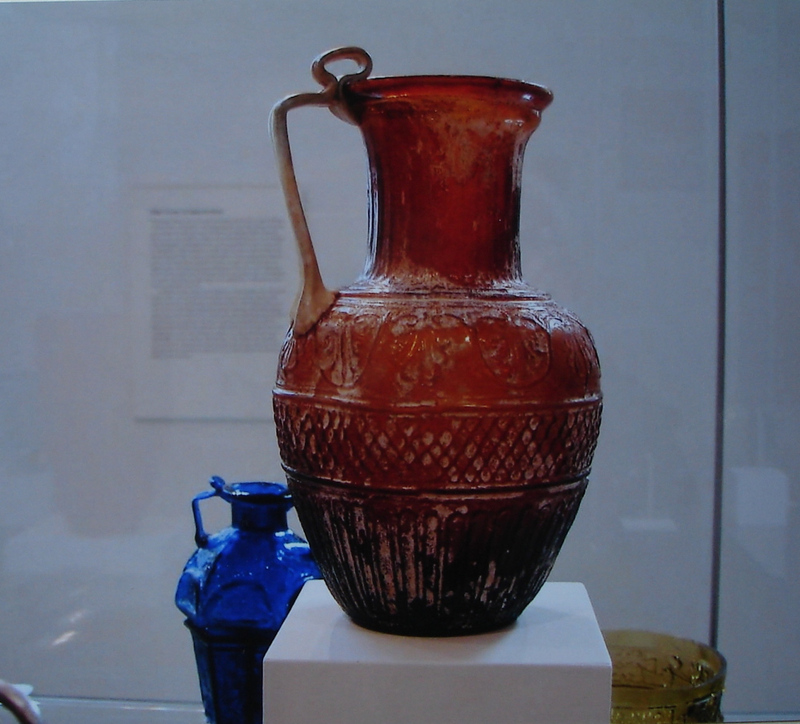 The city of Sidon, where he may have worked, had all the raw material for glass-making and extensive trade connections. 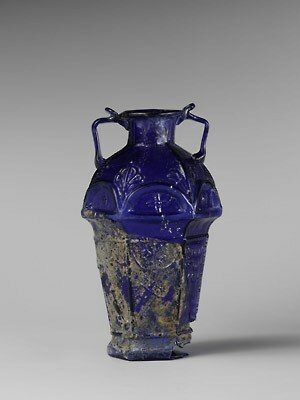 The Metropolitan Museum of Art is currently having an exhibition on Ennion’s Roman glass through April 13, 2015. 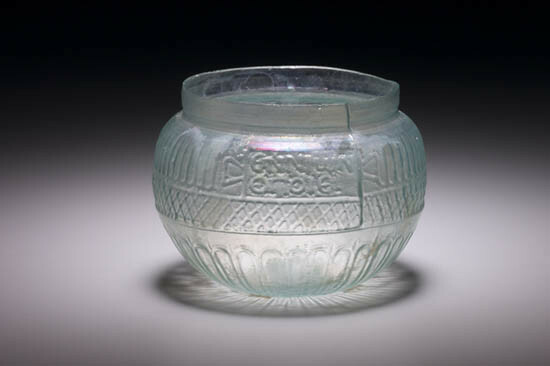 This link will take you to The Metropolitan Museum of Art web page on the show and the second link is to the exhibition catalog: Ennion Master of Roman Glass. Catalog review by Hans van Rossum. The show will then move to Corning Museum of Glass May 16, 2015 to January 4, 2016. 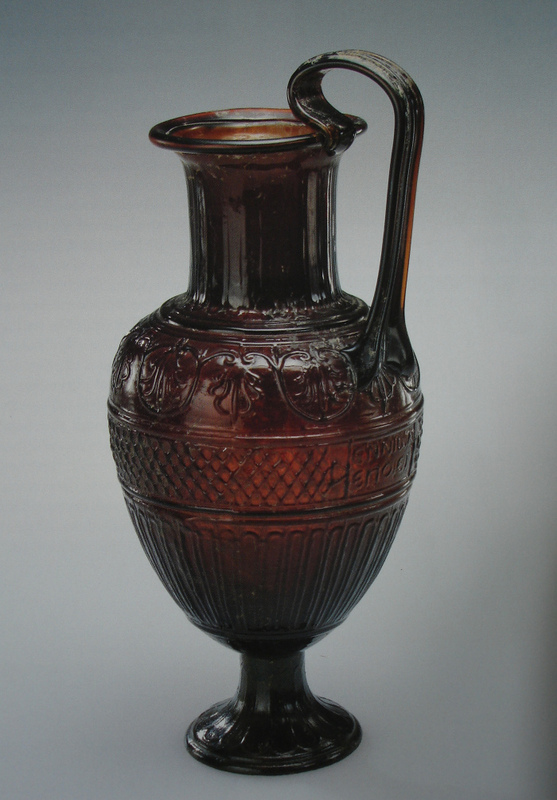 Below are pictures of Ennion objects from collections and art museums around the world. Click on the pictures to enlarge them. 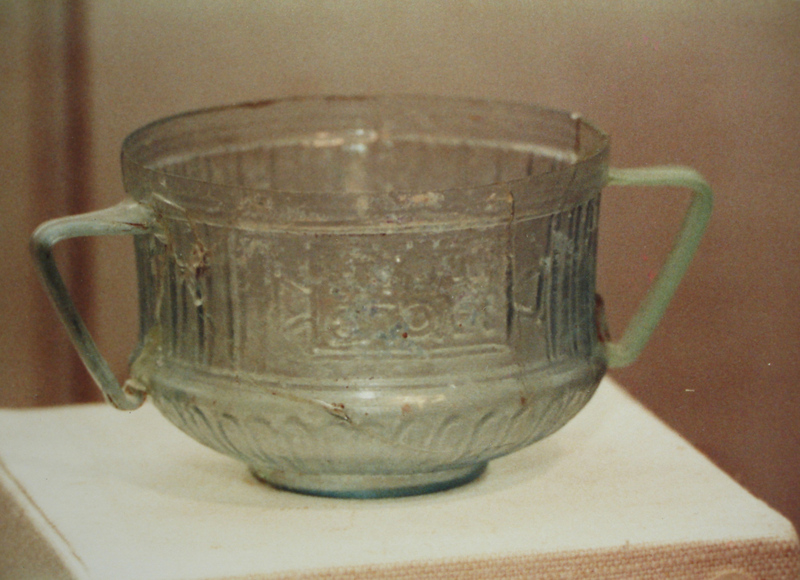 Ennion, indeed it was THE Master of Roman Glass!! The amber 2 – handled Ennion in the Moussaieff collection, which we have examined, and the one directly above it (which feature Xmas trees as part of the decoration!) 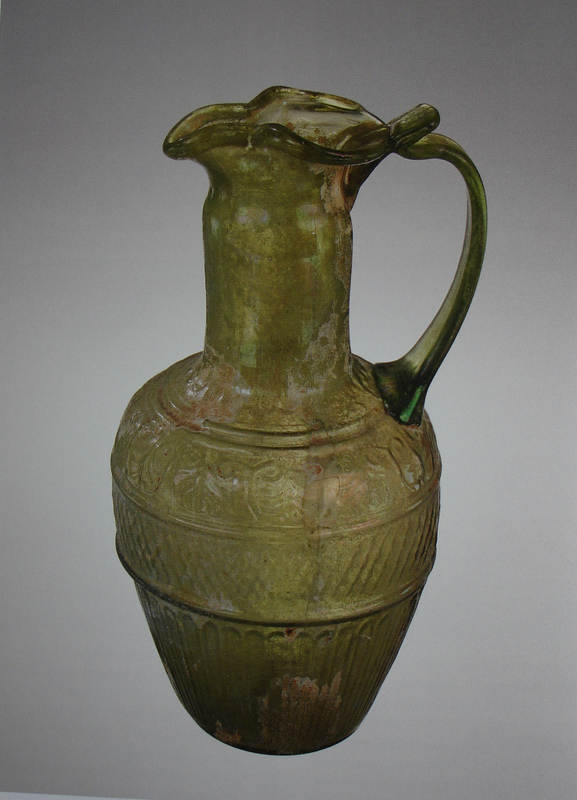 are both poor quality fakes, despite their presence in the exhibition and collections. They were probably made in Damascus relatively recently. Thank you David for your help. I will take these off our web page. 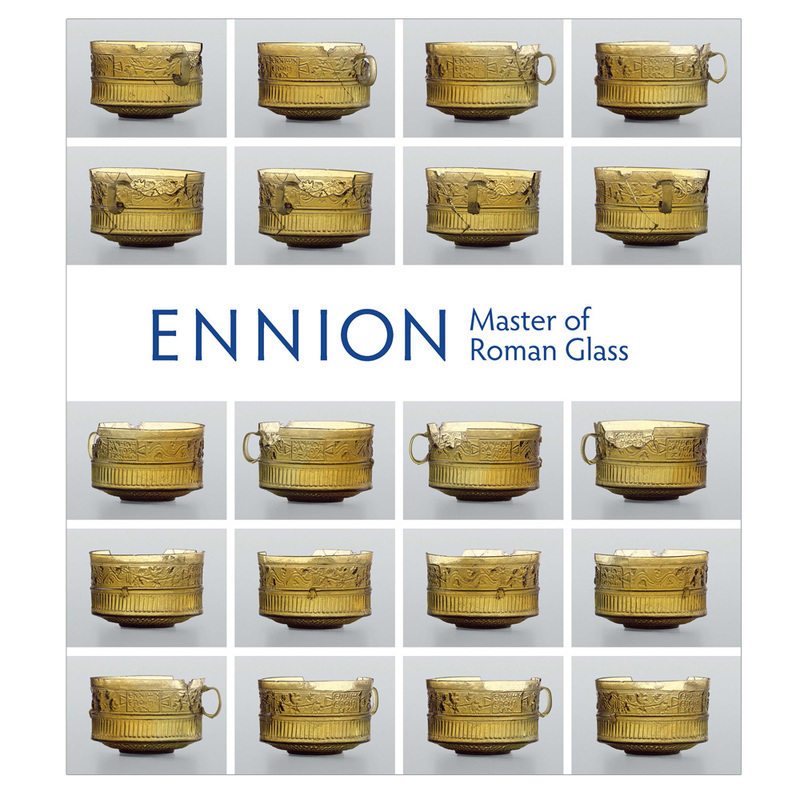 I am looking forward to the up-coming Ennion show at The Metropolitan Museum of Art and later this year at The Corning Museum of Glass. Hope to see you at one of these shows.